Awarded 1st place in Maple Confections 2017 by North American Maple Syrup Council! 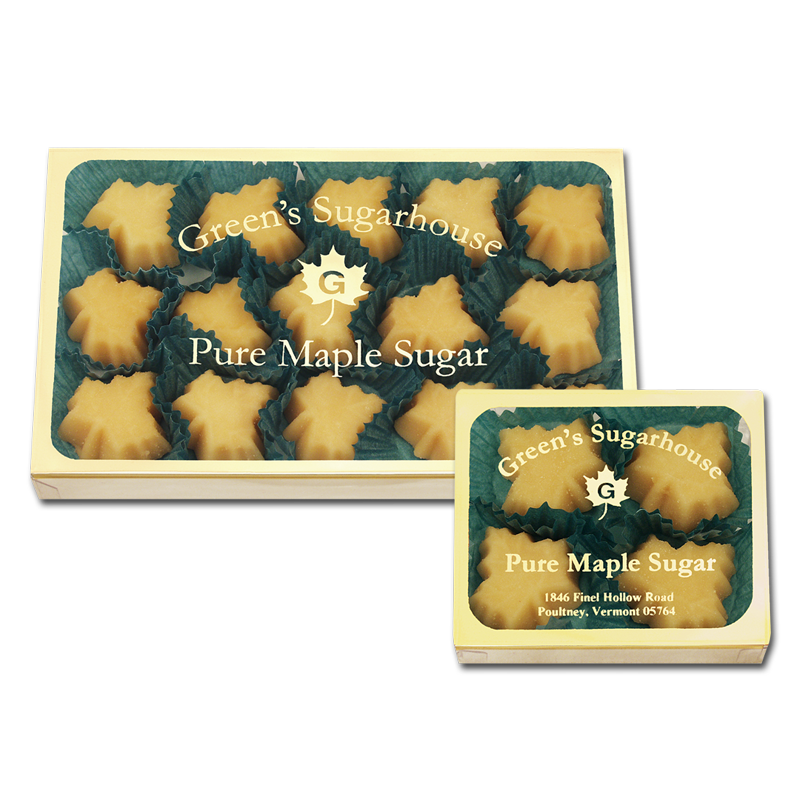 Green’s 100% pure Vermont Maple Candies are made from our finest maple syrup and will melt in your mouth… or your coffee and tea! The perfect healthful treat! Our Maple Candies are a single ingredient product made from boiled down 100% pure maple syrup. Storage tips: Maple candies keep well at room temperature and placed on a plate, tray or in a box exposed to the air. It’s not necessary to close them in a container. Do not refrigerate as it will cause them to draw moisture when removed and white melted spots will develop.